dessert – Design Your Lifestyle. October 2018 October 2018 Peter Salerno, Inc. Try this delicious Hazelnut Pumpkin Pie recipe, courtesy of TasteOfHome.com and Marie Rizzio. Thanks to a wonderful website called Taste of Home, people from all over North America (and the world!) can share their favorite recipes. Sometimes, the staff at Peter Salerno Inc. finds a real gem of a recipe on this website that comes straight out of a private home kitchen. This recipe is no different. Marie Rizzio of Interlochen, Michigan, submitted a recipe for Hazelnut Pumpkin Pie, and it looked delicious on paper. When we tried her Hazelnut Pumpkin Pie recipe in real life, it was love from the very first bite. At Peter Salerno Inc., the passion for creating award-winning custom kitchen designs stems from an understanding that the kitchen is a personal haven where family and friends can meet, eat, and enjoy each other’s company. 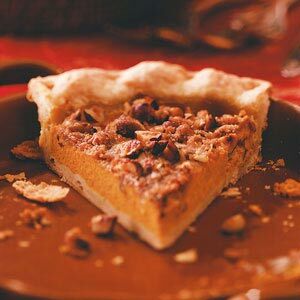 Based on this Hazelnut Pumpkin Pie, we’re sure that Marie Rizzio’s kitchen is full of love and warmth. Try it for yourself – and happy Halloween! For the full directions on how to make this delicious Halloween dish, head over to Taste of Home! 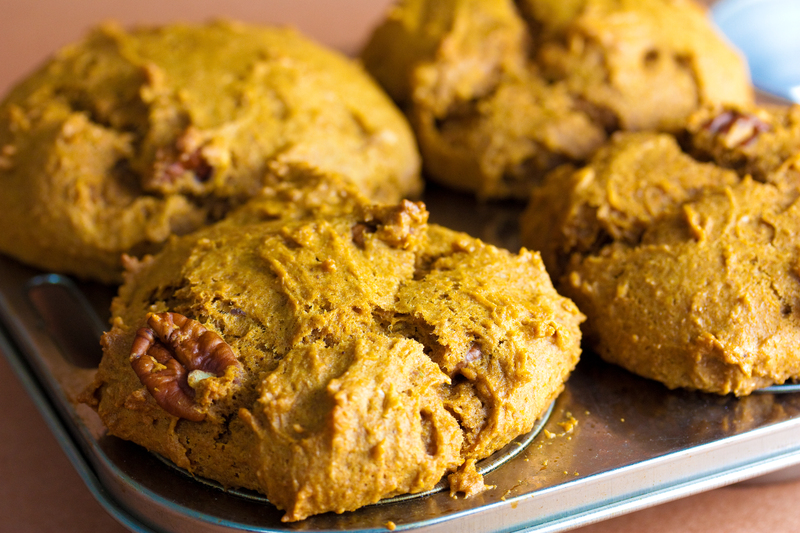 We Love This Oatmeal Pumpkin Muffin Recipe! It’s autumn once again, which means anything (and everything) you can eat or drink is made with pumpkin once again! Pumpkin is a delicious, savory addition to your cooking repertoire, and chances are you’ve had your fair share of pumpkin recipes already this year. Peter Salerno Inc.‘s award-winning custom kitchen designs are often filled with the warm, inviting scent of pumpkin recipes during the fall, and we wanted to share one of our favorite pumpkin recipes with you – enjoyable at breakfast, as a snack, or as a delectable dessert or a treat with your coffee. This recipe for October Oatmeal Pumpkin Muffins comes from user EW2012 at AllRecipes.com. It’s a sweet treat (perfect with a macchiato or espresso, or as your morning breakfast!) that is sure to satisfy. We encourage you to warm them up before you enjoy! For this and more outstanding recipes, check out AllRecipes.com. Preheat oven to 375 degrees F (190 degrees C). Spray 6 muffin cups with cooking spray. Please refer to AllRecipes for the full version of this article with complete preparation, instructions and serving portions! From Peter Salerno’s Kitchen: Why We Love Gelato! August 2015 August 2015 Peter Salerno, Inc. If you follow Peter Salerno Inc. on Facebook, you know that the staff loves to cool down on a hot summer day by eating delicious gelato! From its roots with the famed Medici family in Renaissance Italy to its growing popularity around the world today, gelato is a delicious, creamy alternative to ice cream that (believe it or not) is healthier for you in many ways! The Peter Salerno Inc. staff (and Harper the puppy!) enjoy delicious gelato. Every gelato lover has his or her favorite gelato “spot” – for Peter Salerno and his team, a local Sicilian gelato maker always hits the spot! But whether it’s from a gelato maker, dessert shop or your local grocer, gelato is a wonderful treat – especially during these hot summer months. So why exactly do we love gelato so much? Here a few great reasons to love this classic Italian dessert delicacy. 1. It’s based in all-natural, fresh ingredients. Classic gelato made by hand features milk and water, and generally hazelnuts or pistachios in its base. These natural ingredients, rather than artificial sweeteners, chemicals and preservatives, make gelato a more naturally delicious treat. 2. It’s lower in fat and calories than ice cream. On average, gelato contains 5-6% butterfat, compared to 10-12% in most traditional American ice creams (source: WhyGelato.com). As a result, it’s naturally lower in both fat and calories than its ice cream counterparts! 3. Options, options, options! Gelato comes in several varieties, including cream and fruit-based gelatos. As a result, the tastes you can experience by eating gelato range from sweet to savory, and will satisfy lovers of ice cream, sorbet, sherbet and flavored ices alike! To many, gelato is a new dessert discovery. But it’s been around since the Renaissance (and in America since the late 1700s) – so why not try it for yourself? 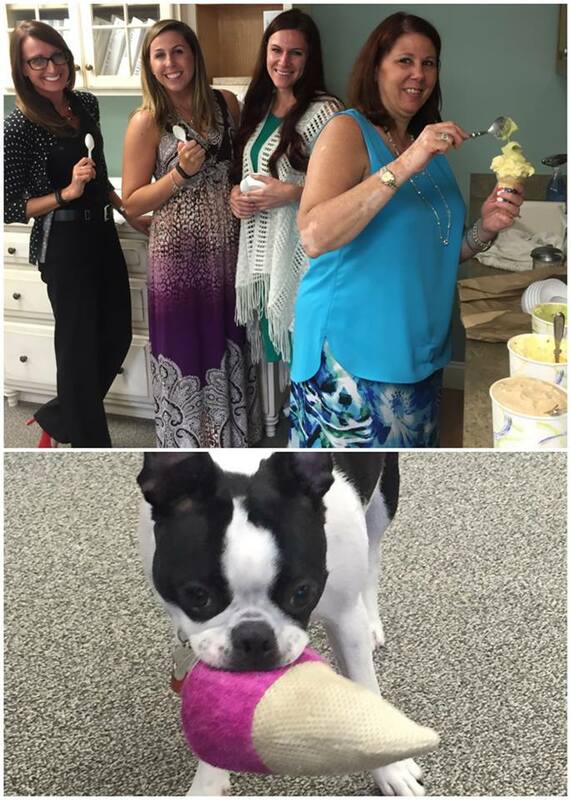 It’s about time you discovered why so many people, including Peter Salerno Inc., love gelato!